organic super-food blends to moisturise, nourish, purify and protect your skin from within. Bestow Beauty offers a beautiful range of organic super-food blends to moisturise, nourish, purify and protect your skin from within. What you put on your skin is only half the story. Bestow’s nourishing super-food blends support skin on a cellular level and nurture beautiful, healthy, skin from the inside out. 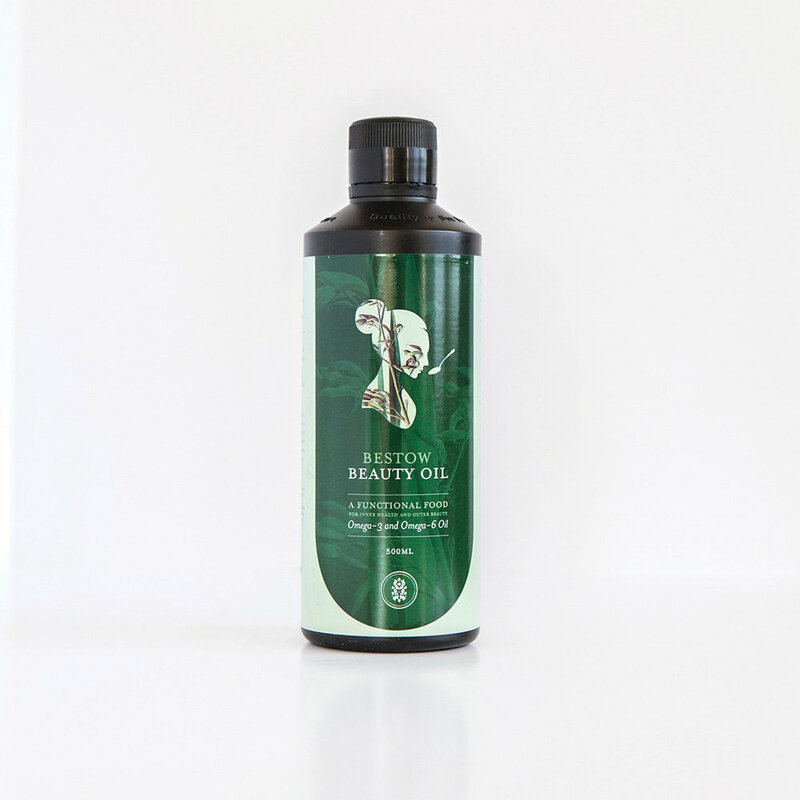 Bestow products are organically sourced from New Zealand and Sri Lanka. The designer super-food blends include bio-available phytonutrients, minerals, vitamins, and amino acids. 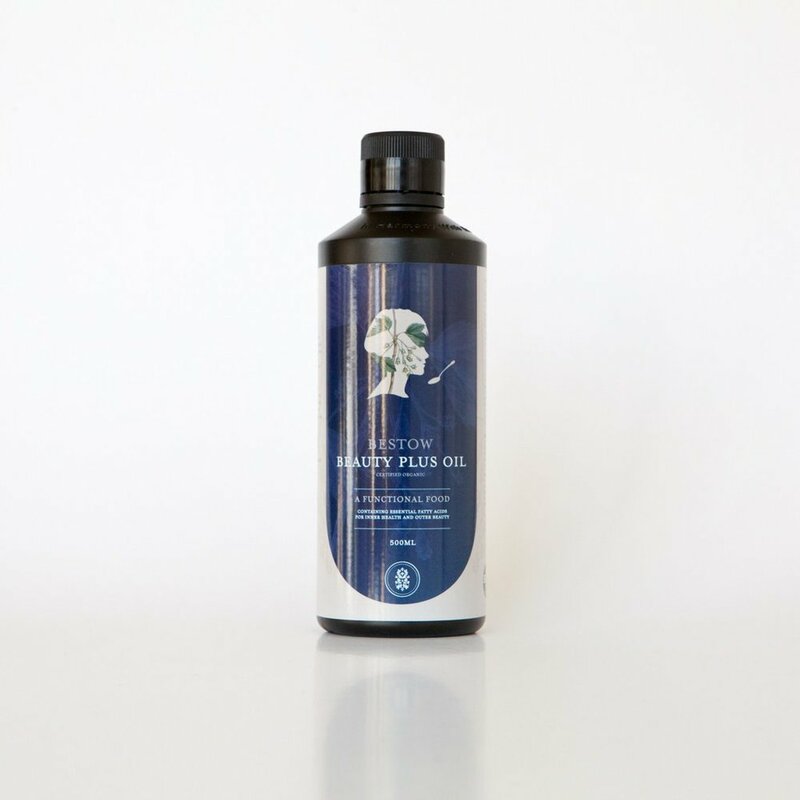 Ingredients across the range include cold-pressed virgin flax-seed oil, wheatgrass, blackcurrant, alfalfa, coconut, kelp, spirulina, hibiscus, cinnamon, licorice, slipper elm and ginger to name just a few. Bestow products are primarily food-based and designed to be incorporated into food because this makes the nutrients more bio-available and better absorbed by the body. A daily smoothie boosted with your chosen Bestow super foods is a ritual that makes a real different to your skin over time. But there are many ways to incorporate Bestow products into daily food rituals. Check out our ‘Five Ways’ video series like the one below and find a super-food ritual that works for you. 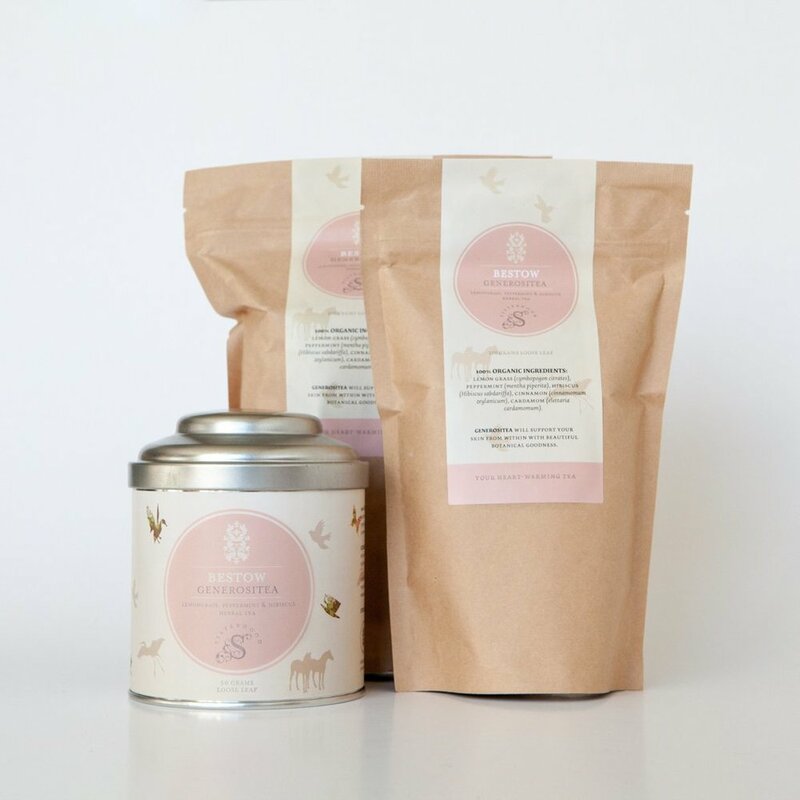 Our beautiful organic, loose-leaf herbal teas are the therapeutic alternative to coffee and black tea. While caffeine stresses and depletes your body, Bestow Organic Herbal Teas provide hydrating nutrition to support healthy, luminous, youthful skin. BESTOW RITUALS ARE BEAUTIFUL HABITS THAT SUPPORT YOUR HEALTH AND WELLNESS OVER YOUR LIFETIME. MAKE A BEAUTIFUL BEGINNING ON YOUR BESTOW WELLNESS JOURNEY WITH THESE PACKS WHICH CONTAINS THE ESSENTIAL PRODUCTS YOU NEED TO CREATE BEAUTIFUL SKIN FROM WITHIN.